Retailers are an important part of local communities. They provide goods and services to residents of all ages. 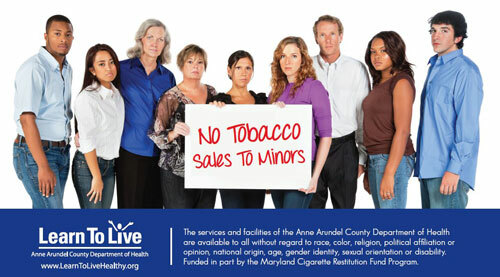 Licensed tobacco retailers are uniquely positioned to act responsibly and help reduce and eliminate underage access to tobacco products in Anne Arundel County and Maryland. 3) Refuse to sell tobacco to everyone under 18. Below are educational materials and tools to train retailers and clerks to remain compliant with all youth tobacco sales laws. Retailer’s Guide explains the Maryland and federal tobacco sales laws. 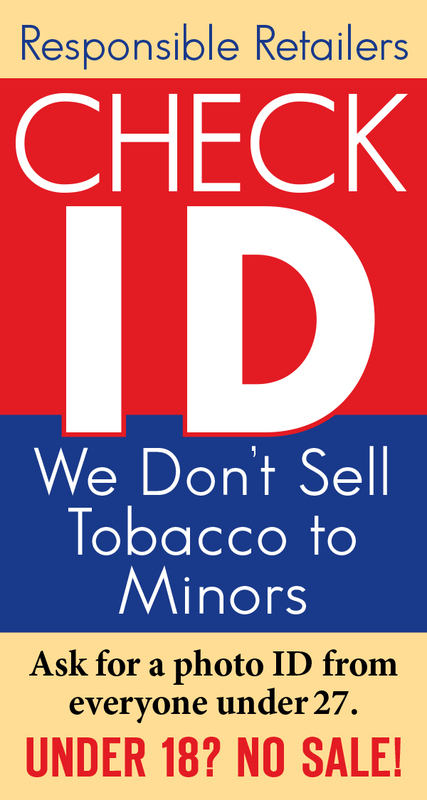 Tip Guide, in English or Spanish, helps clerks spot fake IDs and determine who is an underage tobacco buyer. This guide can be kept at the counter for quick reference. Employee Tobacco Sales Pledge is available for an employee to sign and pledge not to sell tobacco to minors. Maryland and Federal Tobacco Sales Laws show the Maryland and federal legal restrictions of selling tobacco to minors. Interactive training module from Maryland Department of Health provides online training for retailers and their staff. These materials and more are available in the Tobacco Sales Compliance Kit from the Learn To Live program. County residents or retailers can order the kit by calling 410-222-7979 or sending a request to hdltl@aacounty.org. Be sure to provide your address if you are leaving a phone message or sending an email.